Your photography is important to you. Perhaps more than just a hobby or even a profession, it’s a way of life – something that reflects who you are and what you love. You’ve invested many years learning your skills and probably thousands of dollars in equipment. So does that all go away when you’re gone? Your photos, you can’t take ‘em with you when you die, so what then? 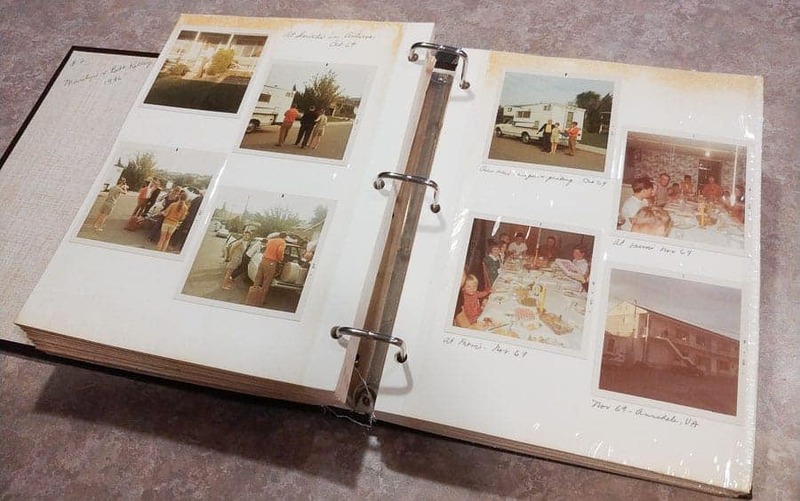 The family photo album is part of most people's “Photo Legacy.” As a skilled photographer, what images will people have to remember you and your work? We frequently read stories where natural disasters, fires, floods, or other crises force people to grab a few things and evacuate their homes. It’s not unusual that one of those things people grab is their photo albums, irreplaceable records of their family history. These days, in addition to those albums, photographers might take their hard drives where years of photos are stored. Whether the images are those of your family and friends through the years or even landscape and travel photos showing places you’ve been and sights you’ve seen, we see those images as important, things we want to live on for future generations to enjoy. How can we help make that happen? Here are Ten things to think about. You ARE backing up your important photos, right? Drives fail, emergencies occur, thefts take place, stuff happens, true? There are many articles you can read about why and how you should backup your images so I’m not going into that here. My simple point is, backups will help insure your work may live on into the future. Unless you’ve figured out how to clone yourself though, one day you will be gone with no “backup.” Multiple copies of your photos however, stored in different places in different ways will help assure your “photographic legacy” is there in the future. 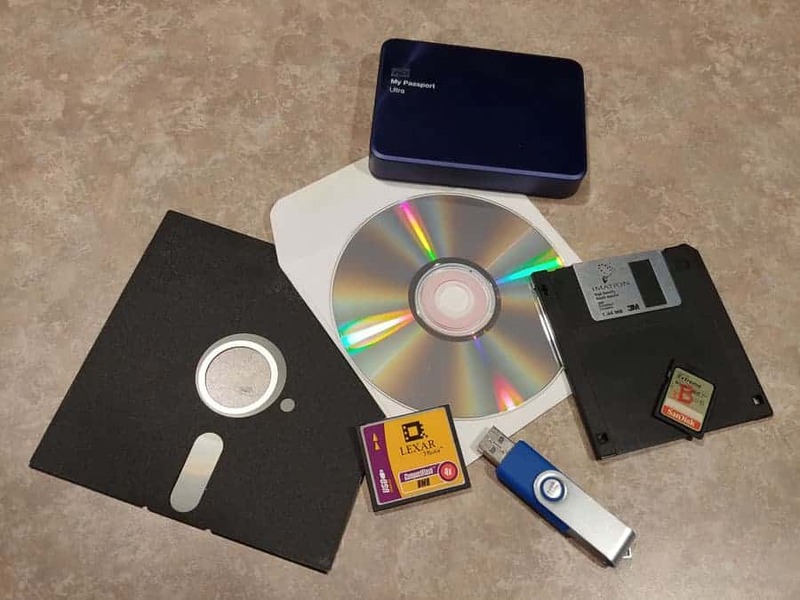 How quickly storage media changes! Many of us have used all the types shown here. The question is, which will be readable in the future? In the pre-digital age of photography we had negatives, transparencies, and prints. While not impossible to copy, it was much harder than making a back-up with a few clicks of a mouse. When digital photography came along, and with it methods of computer data storage, we began to store and backup images to electronic media. Over time, media evolved, each new innovation allowing more to be stored on a device. If you’d had used 1.4MB 3.5” floppy disks to store your photos, you would have needed 729 such disks to store 1 gigabyte of data. I highly doubt you’d use floppy disks to store anything anymore but consider this, if you had stored images for the future on those 729 disks and half were lost over the years, you’d still have some remaining images. How many images would you lose if your 4 terabyte drive was lost or corrupted and you had no backup? That would be the equivalent of 2,995,931 floppy disks! In the late 1990's the Sony Mavica was a quite popular, digital camera that saved images on 1.4MB 3 1/2″ Floppy Disks. Early models shot 640×480 pixel images and could store 40 images on a single floppy. Today, a single 40Mb Raw image from a modern camera would require about 29 floppies, that is, if there was a way to spread it across multiple discs! I’m hardly suggesting you go back to storing images on floppy disks. 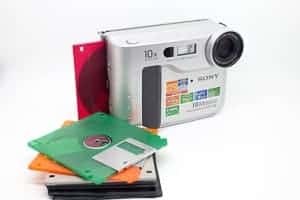 You might remember the Sony Mavica, an early digital camera which actually used 3.5” floppies as its “storage card.” But today, one average RAW file produced with say a Canon 5D MkII is around 40MB. Nope, floppies won’t be coming back. We’ve moved on to other storage media. My point here is, the evolution of storage media types is constantly marching on. Computers have not come with floppy drives for many years and most are abandoning CD and DVD drives. It’s already getting harder to find drives to read those older media types. Here’s a personal tale about media storage I’m sure many of you might relate to. My kids grew up in the mid-80’s. Video was big then and I made many home movies on a VHS camcorder, later a Hi8 8mm Sony HandyCam. I still have those recorded memories and IF I can find a machine to play them back today, MAYBE the tapes will still play. In the mid-50’s and 60’s when I was growing up, my dad made our home movies with an 8mm film home movie camera. Years ago, I found an 8mm movie projector and converted all of those to VHS tape. Now I should be looking at converting those – again. Translate that story to the still photo storage media you are using today. Will there be methods and machines to review the images you’ve stored on hard drives, flash drives, CDs or DVDs in 10, 20, 50, or 100 years from now? Many of us are now using “cloud storage” sites where we upload and store our images. This is one way of having a backup of the images on our personal hard drives. One cannot have too many backups. But know that somewhere out there those images still reside on mechanical drives, also prone to fail. Yes, most cloud sites are quite good about having backup resources for that stored data, but for how long will they be around? It’s very common to see young parents shooting cell phone photos of their children as they grow up and storing the images on Facebook or other social media sites. Over the years, they may have made thousands of shots and their Facebook albums ARE the “family photo album.” Maybe that’s a good way to insure if the house burns down the family’s photo legacy doesn’t go with it, but how long will those photos be there? In 10, 20, 50, or 100 years will those photos still be there for future generations to view? Will Facebook even be around? So we come full-circle back to a method of image storage that has stood the test of time – Printing. 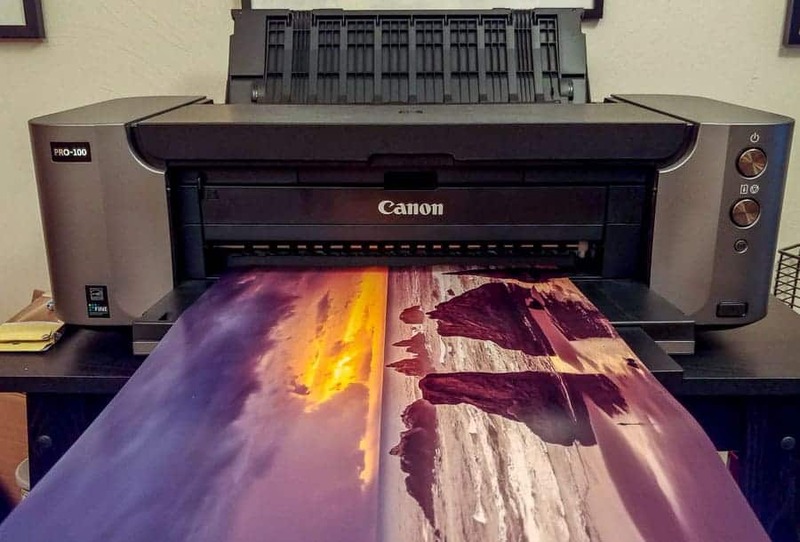 Print your images! No one may find or view the 10,000 images on your hard drive but with proper storage, your prints will likely be viewable regardless of technology changes long after you're gone. I am an admitted packrat and like to keep old stuff, particularly things with sentimental value. Fortunately, some of my and my wife’s ancestors were the same way. Even better, some, (unlike me), were quite organized. As a result, we have photo albums that go back to the days of our great grandparents. I even have an old tin-type photo, probably produced in the late 1800’s. That makes the photo over 125 years old. It does not require a computer or special player to view it. The same of course is true of the prints we make today. 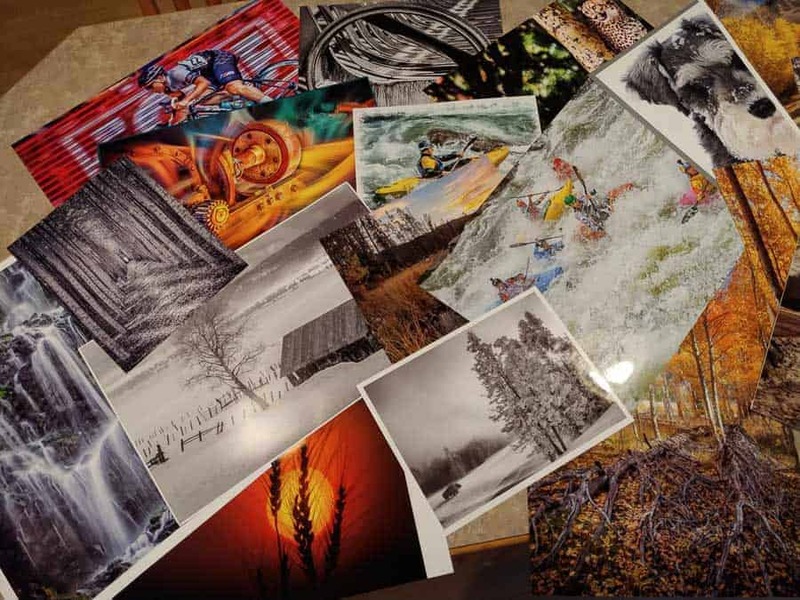 Unlike the files stored on your hard drives or other media, a print can be viewed today, tomorrow, and hopefully many years from now regardless of how technology changes. This shot of my wife's mother is over 80 years old and was likely done in a studio with good processing. It is still in remarkable shape. How long the prints we’re making today will last is a more complex question. There are many variables; Are they inkjet prints and if so, what type of ink was used, what was the paper type used, and how were the prints stored? Prints produced with dye rather than pigment inks won’t last as long and prints stored where the light can hit them versus prints stored in an album or in a dark box will age faster. 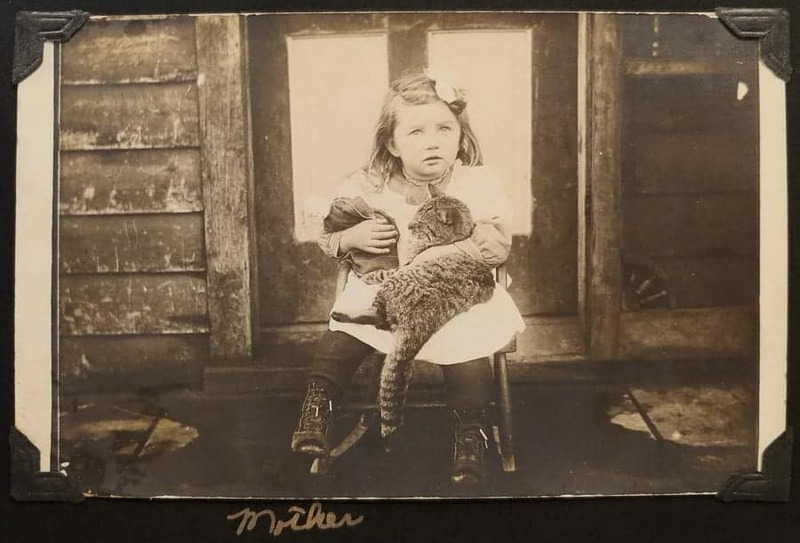 This photo is of my wife's grandmother. We figure it's now about 108 years old. Being monochrome and stored in an album, it still looks pretty good. Wilhelm Imaging Research is regarded as a leader in the field of print longevity testing. There are enough geeky articles on the topic there to make your head hurt. Of course, the tests must use simulated conditions as no one has the time to determine if a print might last 100 years or more. A quick scan of the many articles there shows me under the worst conditions an inkjet print might last only a few months. At the other extreme, prints made with optimal ink and paper types and stored in an album or other dark storage could last over 200 years. For example, here is a study where prints made with a Canon Pixma Pro 1 printer using Canon Lucia ink and Canon papers was done. Another post on the Wilhelm site shows a press release from Epson who claims their Ultrachrome HDX pigment inks can last, on the right paper, up to 200 years for color prints and up to 400 years in “Advanced Black and White Print Mode.” (I guess we have to trust them – I don’t expect to be around to see if that claim is true.) With some searching, you may be able to find tests for your printer, ink, and paper combination. 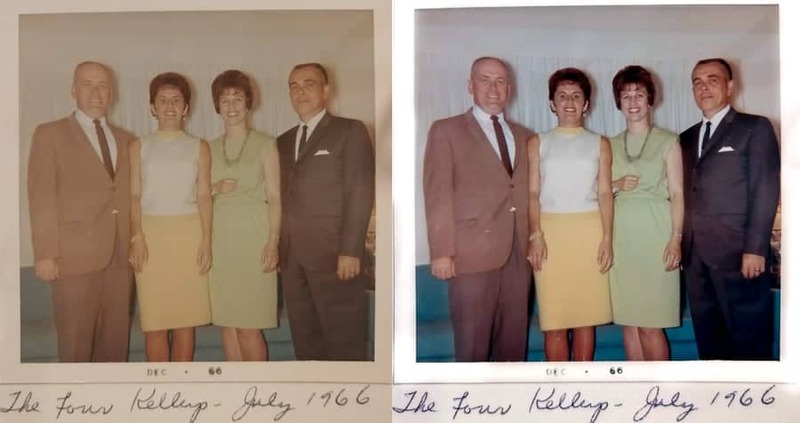 This photo from the family album was shot in 1966. Color film and processing of the time produced prints that have faded and discolored with time. Fortunately, three clicks in Photoshop – Auto Tone, Auto Contrast, and Auto Color brought it back quite nicely. Interestingly, some of the old chemically produced prints that have best withstood the test of time seem to be the old black-and-white prints. In our family photo collection, monochrome prints from the 30’s and 40’s which were stored in albums still look quite good. The prints that seem to be quickly “disappearing” are those made when many of us were growing up, images made during the 1950’s through 1980’s with color film and printed through the corner drug store or one-hour photo lab. Even those stored in albums show much color shifting and fading. 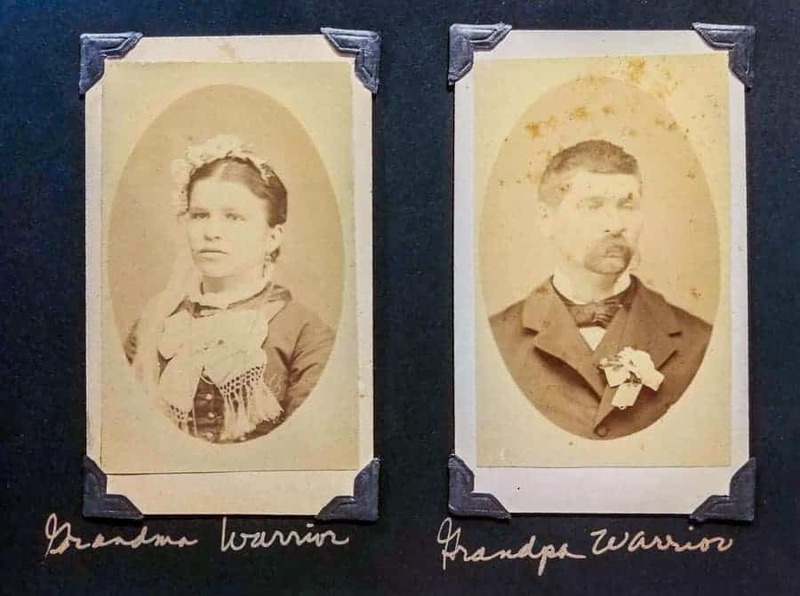 If those are the kinds of prints that represent your family photo history, you may want to scan, restore, and reprint some of the best ones. There are many good tutorials on Youtube showing how to use Photoshop or other editing tools to restore photos. Search for “Photoshop Remove Color Cast.” It’s very satisfying to bring back old images, giving them new life and helping ensure the next generation can enjoy them. I routinely make prints to show at my camera club meetings, enter contests, or to sell. I have dozens stored away. I'd like to think maybe someone will see and enjoy them after I'm gone. To summarize this section, if your objective is to preserve your images for future generations to enjoy, making prints is the way to go. Be they family photos or your great collection of landscape images, the files stored on your hard drive or even more archival media types may be unreadable in the future. Also keep in mind that while you may know how and where your files are stored, unless you’ve carefully left instructions for others they may not know where your photos are stored or how to access them. Anyone can view a print with no technology needed. If you are doing things for sale to photo clients such as weddings, senior photos, portraits and such, you owe it to your customers to find the best way to produce prints with good longevity. 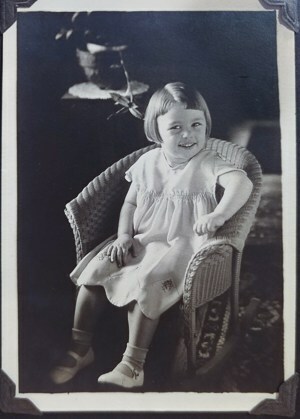 Consider that the prints you give them will become part of their “family album.” If done well using the best methods possible, your work may be viewed by their great-great-grandchildren and you will have been part of their family photo legacy. Arggghhh!!! There goes a chunk of your photo legacy! Over time, storage media may become corrupted. This is another reason why multiple backups on different media types are a good idea. You might want to believe that prints are more vulnerable to the ravages of time than digital storage. Not so, Data degradation or “bit rot” is a real thing and whether the images are stored on solid state media, (flash drives, SSD drives, ect. ), Magnetic Media, (hard disks drives, floppy disks, tape, etc. ), Optical media, (CDs and DVDs) or other media types, problems can develop over time and make your photos unreadable. It’s also possible that though the data might be fine on whatever storage media you chose and you are able to find a reading device, over time software for viewing your images might not exist. 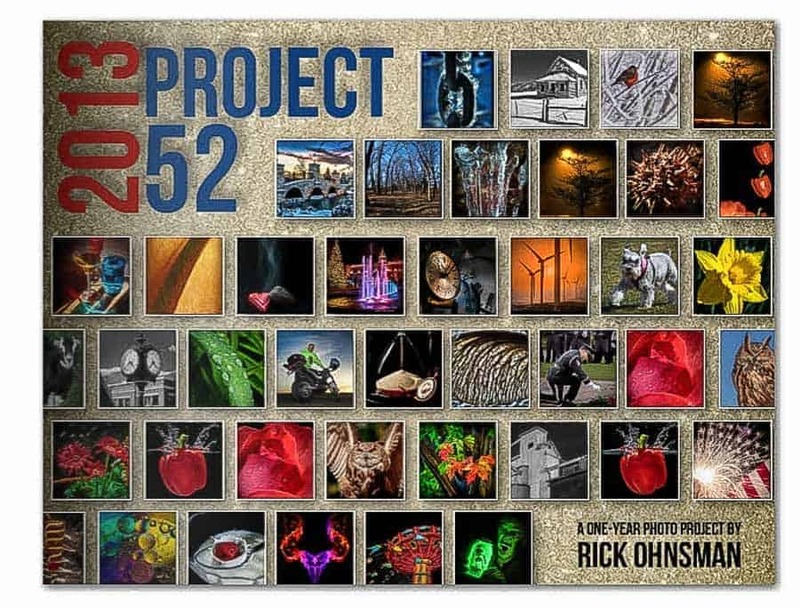 A great way to archive some of your best work is to create a Photo Book. Because the print processes, papers and inks used differ greatly from those we use to print our regular photos, images might last much longer in books like these. Reputable printers also understand about things like the use of acid-free papers and bindings that can increase a book’s longevity. Consider also that when stored, a book is closed and light kept from the printed page. If you are in some kind of photo business or perhaps have images with monetary value, you may want to look into how to address your “digital assets” in legal documents such as your Will and Power of Attorney. Be sure you have written records which detail what is on your drives, where images might be stored in the cloud as well as log on and password information to those sites. The legal system is still catching up with the concept of digital assets, but if you have photos with significant value and want your heirs to be able to continue to profit from them, doing the research and finding good legal counsel is advised. 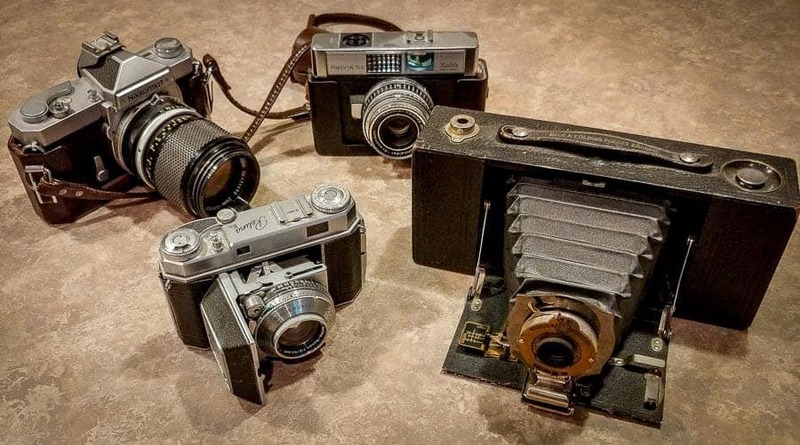 People may not use your old cameras in the future, but they make nice collector's items. These are some of my collection (counter-clockwise from bottom right) – Kodak Brownie 2A Folding Camera, Kodak Retina IIa, Nikon Nikkormat, Kodak Retina S2. 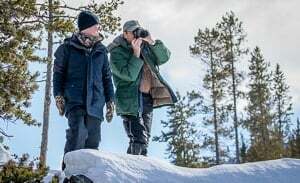 What about your cameras and photo equipment? A will should address these kinds of things too. Perhaps you’d like your heirs to get your gear, a fellow photographer or maybe a school or camera club. That camera you drooled over just a few years ago will not likely be what photographers will be using 20 years from now, but perhaps it will be a collector’s item. I happen to have a small collection of old cameras passed down which, though I don’t shoot with them, make nice conversation pieces on the shelves of my office. If you were one of Ansel Adams heirs wouldn’t you be happy if you still had a few of his original cameras? You’ve no doubt been to funerals where in tribute to the person who has passed, a slideshow of their life is part of the ceremony. 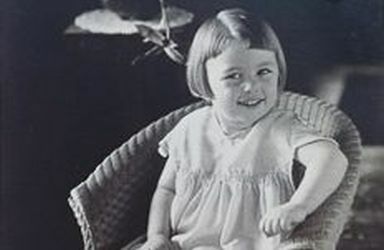 Usually, these will be images taken from the family album, (that is, for those who kept a family album). These days, I’m seeing more images in these kinds of shows taken from Facebook or other social media sites where they were uploaded. I have even made some of these shows at the request of family members. But for me, and maybe for you, as a photographer whose passion has been photography, I’d like my “parting shots” in a show like this to be some of the favorite images I’ve made over the years. Not so much photos of me, but photos showing my work and passion for photography, things that inspired me, places that I loved and captured. Or maybe you're a portrait photographer? Wouldn't you at least like your obituary photo to be a good shot, not just one someone grabbed from your profile pic on Facebook? I have seen when famous musicians pass on songs they may have written or sung are used. So for we photographers, wouldn't a slideshow featuring our best and favorite photos be appropriate? There are less tangible things you can pass down as part of your photo legacy than prints, electronic files, or photo equipment. One is the knowledge you have amassed about photography. It would be a pity to die and not have taught anyone else what you’ve learned. Beyond the basic photo information that can be gained through reading books and manuals, there is your personal style and vision. We are all individuals and we all bring different things to our images. I mentioned Ansel Adams – How would it have been to be one of his photo students? Or one of Edward Westons? Dorthea Langes? Galen Rowell’s? I could name hundreds of now deceased famous photographers who had much to teach others and fortunately, many of them did so. Even today, we continue to learn from the images they made and the writings they left. Are you passing along your personalized knowledge and vision to others? Find opportunities to mentor other photographers, to present your images as an inspiration, to write articles, blogs, or other works designed to help those just learning. Today you can produce instructional videos and when posted online, millions of people worldwide have access to them. Sure, there will always be people who know more than you but there are also those who don’t know as much. Everyone can be a teacher and everyone can be a student. Be both. You will benefit from what others have learned and others can benefit from what you’ve learned. Win-Win. None of us will be here making photos forever, but our images, our knowledge, our passion, and our photo legacy can live on. Make a conscious effort to see that your work as a photographer matters both now, and for many years to come.